An electrical substation is a part of an electricity generation, transmission and distribution system where voltage is transformed from high to low or in reverse using transformers. It also serves as a point of connection between various power system elements such as transmission lines, transformers, generators and loads. To allow for flexibility in connecting the elements, circuit breakers are used as high power switches. Electric power may flow through several substations between generating plant and consumer, and may be changed in voltage in several steps. There are different kinds of substation such as Transmission substation, distribution substation, collector substation, switching substation and some other types of substation. 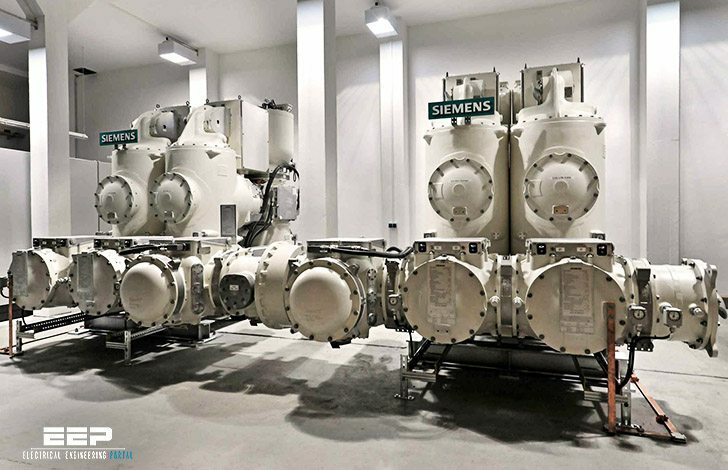 For the substation development to reach its technical and economical potentials, the focus has moved now to studying how substations may enable more intelligence in the network, which is labeled the “smart grid” development. It has been concluded that the 21st century substation design should meet the following improved criteria: reliability, security, interoperability, re-configurability, controllability, maintainability, flexibility, reduced cost and environmental impact. An estimate of the importance of the different criteria is shown in Figure 1. The four major criteria commonly emphasized by substation designers are: reliability, cost, operational flexibility and environment impact. Excellent Files, Thank you very much. I am a Electrical and Electronic Engineer. Thanks a lot and also be grateful to you it is a up to date and need able information. thanks again. I love the information on this website. very helpful and knowledgeable.